Port of Ushuaia, southernmost city in the world. Tierra del Fuego, Argentina. 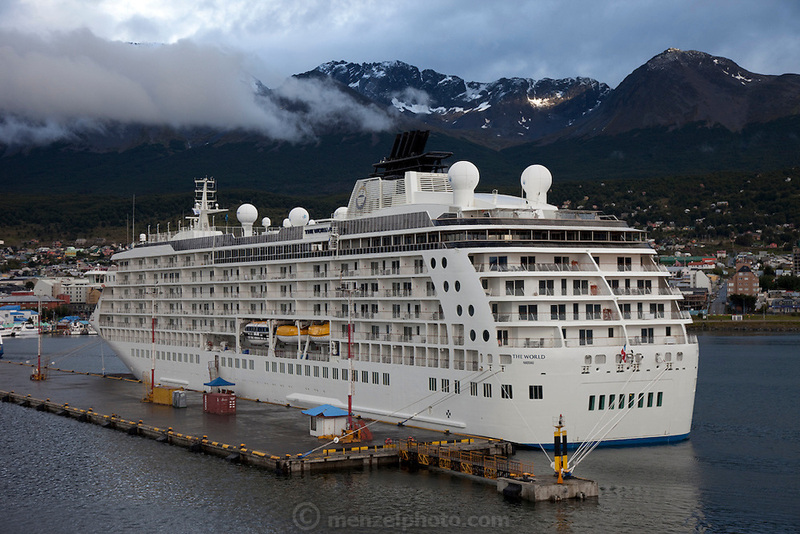 The World, a luxury floating condo ship.